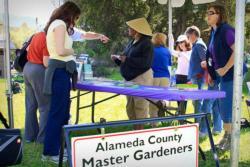 WHO ARE THE ALAMEDA COUNTY MASTER GARDENERS? 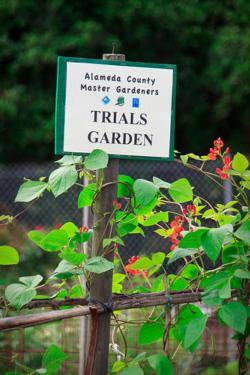 The Alameda County Master Gardener Program works to serve the diverse communities within Alameda County. 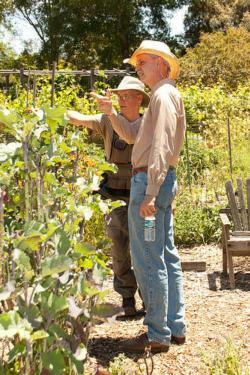 Master Gardeners are people of all ages from all walks of life who want to give back to their communities. 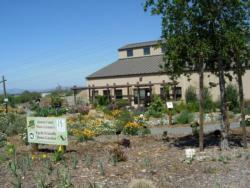 We volunteer our time to help people learn about gardening. As trained agents of the University of California, through the University of California Cooperative Extension, our purpose is to extend research based knowledge and information on home gardening issues to the residents of Alameda County. 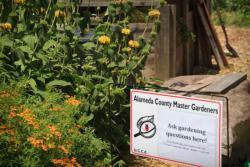 Alameda County Master Gardeners help gardeners by extending the information they have learned through a variety of programs and projects, including seminars, workshops and newspaper articles. 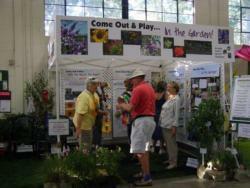 Volunteers answer gardening questions on a plant doctor hotline, through email or online form, at local farmers markets, at our four demonstration gardens, and at various community events such as the Alameda County Fair.